There was "no plan to attack" a group of men in an alleged incident that led to a fatal stabbing, Mold Crown Court heard. 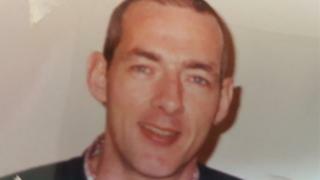 Mark Mason, 48, from Rhyl, died in the car park of the town's Home Bargains store on 27 October 2016. Mark Ennis, 30, from Liverpool, denies murder and malicious wounding with intent, as does Anthony Baines, 31 and James Davies, 21. A fourth Liverpool man Jake Melia, 21, has admitted all charges. Prosecutors say father-of-two Mr Mason died in a drugs turf war, suffering 21 stab wounds as he sat in the passenger seat of a white van. Mr Ennis was working for Mr Baines - described as a "self-confessed drugs supply gang boss" - and he said Mr Mason was a customer they never had a problem with. He told the court ten months before Mr Mason's death he was chased by two men with knives while dealing at an area of Rhyl known as The Cob. Then on the day of the incident, Mr Ennis travelled to the town with Mr Baines to pick up Mr Davies and Mr Melia who had been dealing drugs. Mr Ennis told the court the pair had been chased at The Cob, so they followed the vehicle Mr Mason was in as "we wanted to know why this had happened earlier in the day". He told the jury "there was no plan to attack the people in the white van".